f4052 - rectangular wavy toggle. > Findings>Toggle Clasps>Silver colour Toggle Clasps>Rectangular wavy toggle. 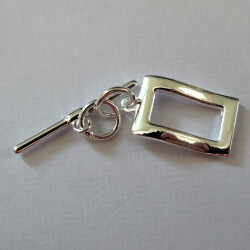 F4052 - Rectangular wavy toggle. More expensive than our other toggles, but very stylish!